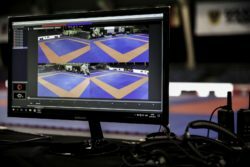 Instant replay of up to 4 video sources in Full HD. Simultaneously! 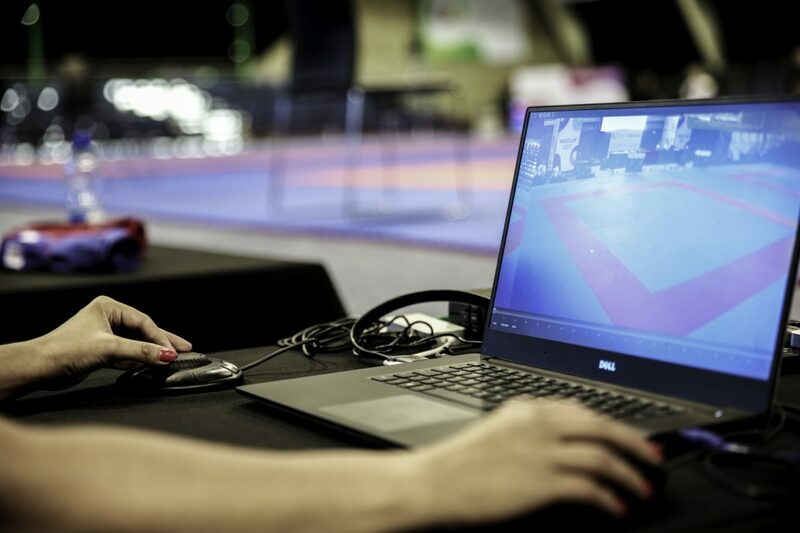 Control via mouse, keyboard or special input devices like the Contour Design ShuttleXpress or ShuttlePRO. .. in any kind of sport! 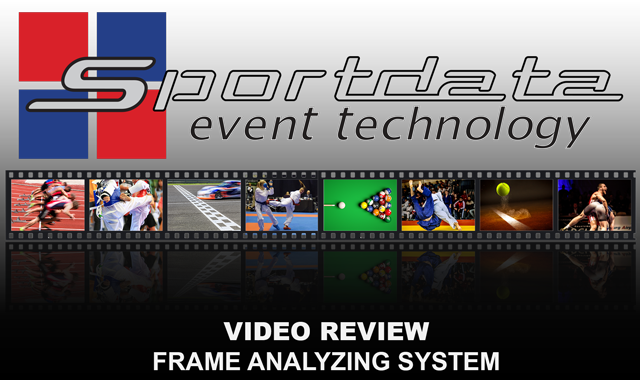 With a frame-by-frame analyzing system like SET Video Review, no important moments will be missed any more. 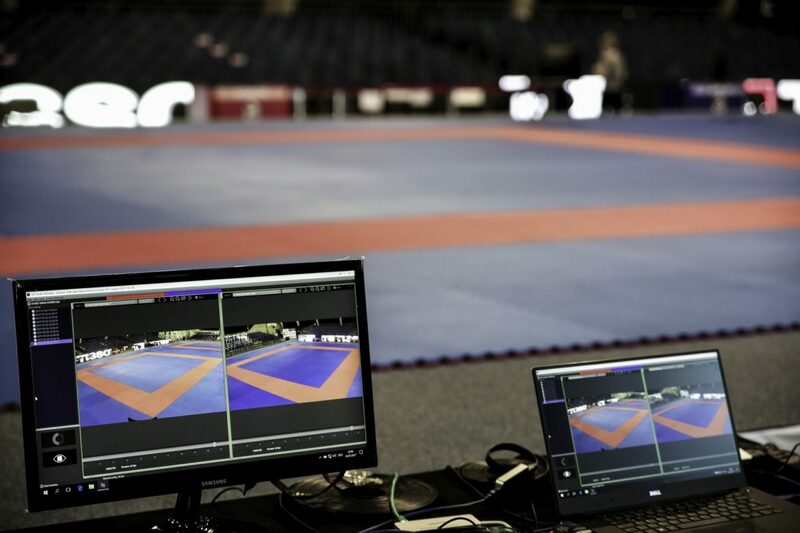 Providing simultaneous recording of up to 4 video sources, combined with synchronized playback offers incredible possibilities when reviewing all kinds of situations in fast- or slow motion. 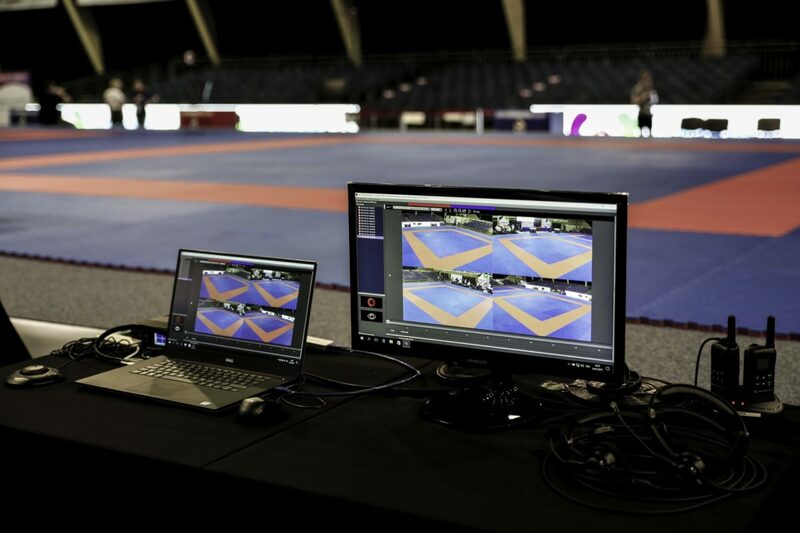 A simple but powerful user interface is essential to guarantee a gapless and stable instant replay system. SET Video Review was designed and built from scratch following those principles – and considering the full integration into the world of Sportdata Event Technology, this makes SET Video Review to a unique but affordable solution. No matter if you prefer to use professional video equipment or low cost consumer cams: SET Video Review handles different input sources like DirectShow cameras, capture devices or IP cameras – even in a combined setup! Additionally, all recordings are independent from your storage type – meaning that even shared network recordings are no problem. To complete the provided methods of user interaction – aiming to satisfy requirements of the real enthusiasts out there – SET Video Review supports professional hardware controllers like the Contour Design ShuttleXpress or ShuttlePRO. Of course, controlling via mouse and/or keyboard also enables to use the complete set of features by default. Right now SET Video Review is available for Microsoft Windows. Versions supporting MacOS and Linux are under development. After downloading, please run the executable installer file. The installation process needs admin rights exclusively to write into the ProgramFiles directory – so you can safely confirm the appearing User Account Control <UAC> dialog. Then just follow the installation instructions, which will guide you through the complete installation process. It is not recommended to store the recordings in the ProgramFiles Directory – so please use the preselected ProgramData directory, or select something like your personal video directory for example. It is advisable to choose fast storage types like SSDs, but generally you can select any storage type you prefer (see System Requirements). You can choose between a 3-year, 1-year or event based license. For all license types the software can be installed and used on as many computers as you want. 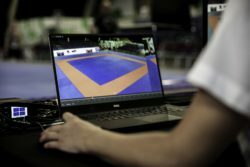 When the license period has expired, SET Video Review will run in DEMO mode again. The DEMO mode has no functional limitations, but recordings can be no longer than 15 seconds. You will receive a license file after purchasing one of the licenses mentioned above. This file is needed to activate SET Video Review and unlock the recording-time limitation. Therefore, open SET Video Review and start the License Manager via the top menu bar. Follow the instructions of the License Manager and select the received license file when requested. If the selected license file is valid, the License Manager confirms the successful activation and SET Video Review is ready to be used without any limitations. Determines the preferred number of recorded images per second for all video sources. Please note that a camera might not support your configured FPS. In this case, the recording will not succeed – indicated by a red bordered recording panel and an error message at the panel’s bottom. After the maximum recording time, SET Video Review stops the recording to avoid wasting disk space. Set the number of seconds of view delay while recording. 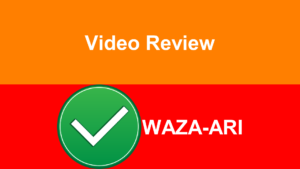 This allows you to review actions quickly without stopping the recording. Path to the directory storing the recordings as JPEG files in an accurately defined folder structure. Path to the directory storing MP4 exports. You will be prompted before each export though, using the configured export directory as a starting point. Path to the directory storing recording archives. You will be prompted before each archiving process though, using the configured archive directory as a starting point. 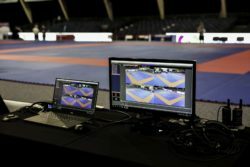 This option is useful for hardware setups merging four video sources to one single input signal: Opening the fullscreen mode while reviewing automatically zooms to the quarter where the corresponding double-click occurred. When opening the fullscreen mode while reviewing, the zoom factor is automatically adjusted to maximize the image size of the recording without cropping it. Hides the window borders to maximize the available viewport of the review fullscreen mode. SET Video Review supports wired (LAN) or wireless (WLAN) IP cameras using various protocol types and codecs. IP cams must be added manually via Edit – Preferences by providing the camera URLs in the IP-Camera section. 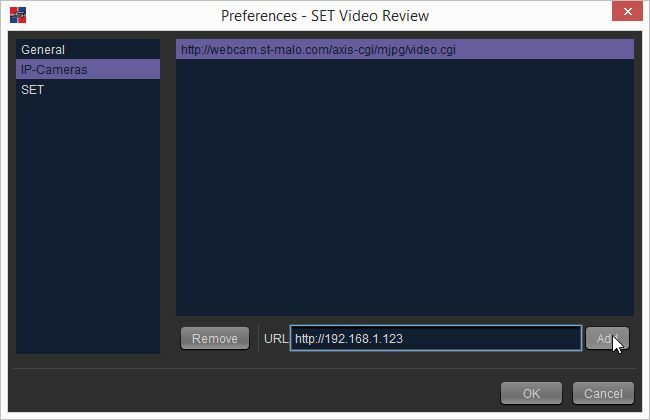 Adding new cams is done by entering a URL in the URL text field at the bottom and clicking the Add button. If the URL is valid, it is listed in the area above. After closing the Preferences window, the newly configured IP cams will be added to the Cam dropdown lists. To remove a cam, select the appropriate cam in the list and click Remove. Configuring IP cams by using parameters is possible by adding so called GET parameters directly to the URL. The support and correct use of those parameters depends on the camera type and model. So please read the camera’s manual or ask the manufacturer how to configure the camera by using GET parameters. SET Video Review makes use of the powerful FFmpeg project, and thus profits from its numerous supported protocols and codecs. 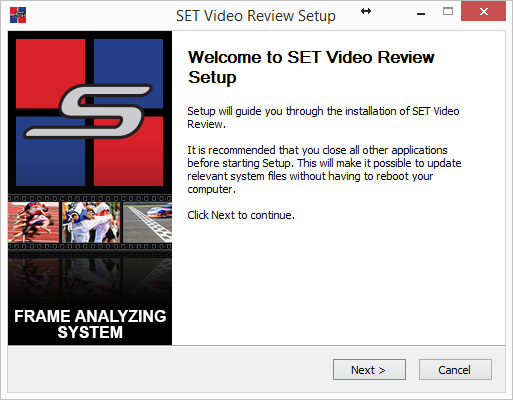 SET Video Review is fully integrated into the SET Software Framework. 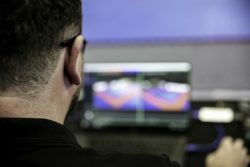 Thus, if you’re using it for instant replay, it is possible to directly track results via a connected SET Point Panel. The Point Panel then can use its built-in visualization to view the result on any kind and number of display units, while besides storing all the information in the central SET database automatically. See how the Point Panel looks like in the Use – SET section. Shows/hides the result tracker buttons in the bottom-left corner of the main window. 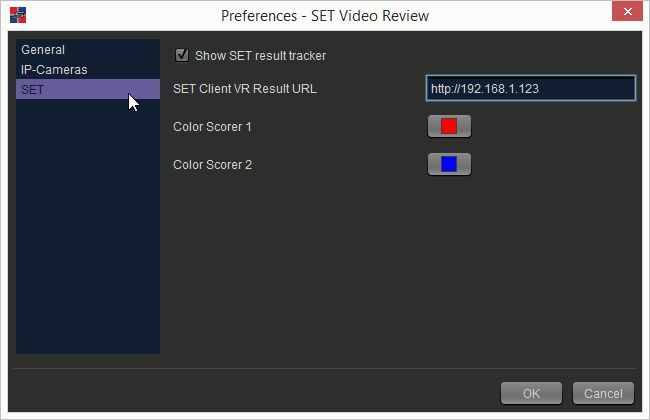 Defines the SET client (running a Point Panel) to receive the result information sent by SET Video Review. 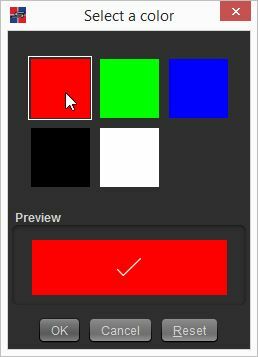 Defines the color of the two top buttons viewed in the main window. Use the color-chooser button of the Preferences window’s SET section to select a color and click OK. 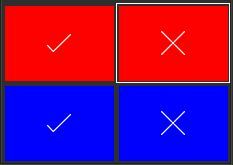 Defines the color of the two bottom buttons (Scorer 2). The following screenshot defines the main user interface components of SET Video Review. Each component is described more detailed in the subsequent chapters. Import – Copies recordings from a different location into the current Recording Directory. Only complete recordings can be imported, not the single camera subdirectories. So always select the parent directory with a 13-digit number (which is a timestamp) as its name (For example: “1488874114825”). Multiple selections are supported too. Close – Prompts to shut down SET Video Review. Refresh – Reloads the Recordings List and the cameras. Preferences – Opens the Preferences window. About – Information about SET Video Review. 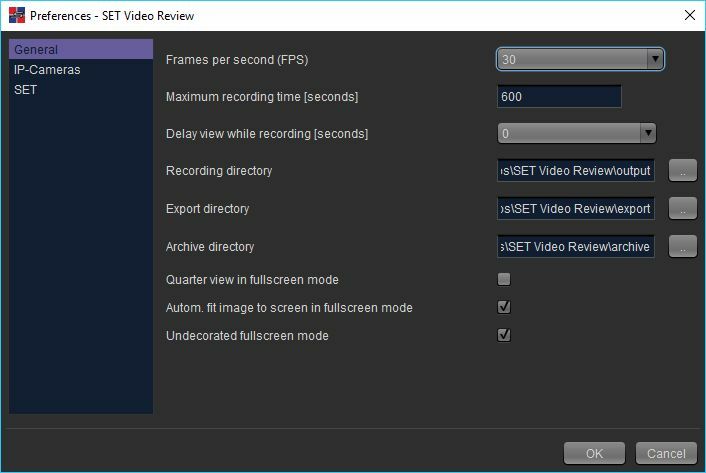 License Manager – Starts the SET Video Review License Manager. The four Viewer Panels are used for Preview, Recording and Review. 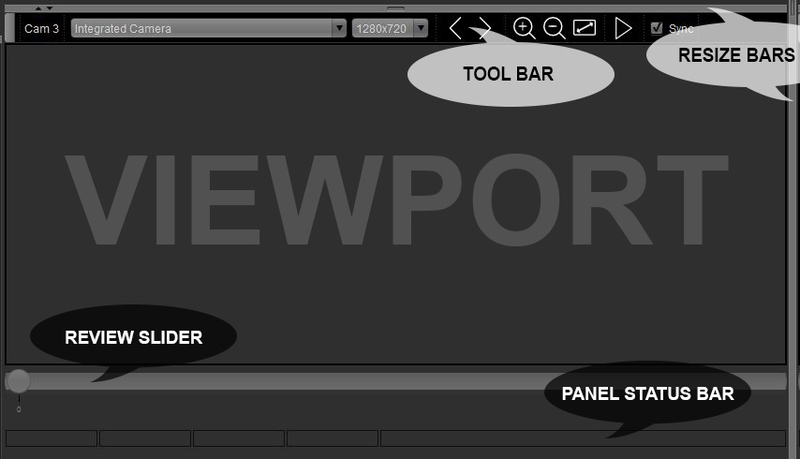 The following screenshot shows one Viewer Panel and defines its components. The Resize Bars can be used to resize the four Viewer Panels or to selectively hide them. For resizing just put the mouse cursor over the desired Resize Bar and drag it into the preferred direction. Obviously, the horizontal Resize Bar is for adjusting the Viewer Panel’s height and the vertical Resize Bar for adjusting the Viewer Panel’s width. Hiding can be done/undone by clicking on the small arrows inside the Resize Bars. The Review Slider is controlling images shown in the viewport of the corresponding Viewer Panel. It represents the position in the recorded video and enables Reviews in slow- or fast-motion by dragging it back and forth. The labels under the Review Slider show the incremental numbers of the recorded images. Useful information concerning a current task are displayed in the Panel Status Bar of each active Viewer Panel. For more details see the Preview, Recording and Review sections. The Viewer Window basically has the same controls than the Viewer Panels, except the two pickers and the Sync Checkbox. The Viewer Window appears when double-clicking into the viewport of a Viewer Panel and is usually used in (borderless) fullscreen mode. All recordings stored in the configured Recording Directory are listed in the Recordings List on the left. 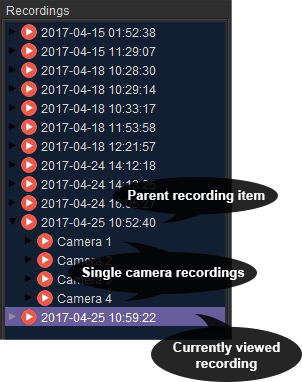 As recognizable in the picture below, every parent item consists of up to four camera recordings, which are made visible by expanding the parent item. The parent item is named with the date and time of the recording being started. Delete (DEL key) – Deletes the complete recording(s) (all containing camera recordings). Archive – Moves the complete recording(s) (all containing camera recordings) to a desired location. Later importing via File – Import is possible. Delete (DEL key) – Deletes a single (or multiple) camera recording(s). Export – Generates an MP4 file of the selected camera recording, stored to the desired location. Multi-selection is not supported yet. The Control Panel consists of the start/stop Recording Button and Preview Button , as well as the four SET Result Tracker buttons to submit review decisions. See more detailed instructions on how to use them in the Use sections. The Main Status Bar shows global information like the current usage mode (Review, Recording, etc. ), configured FPS, exporting status, etc. The first step before getting productive should be ensuring that everything is set up correctly. Therefore, SET Video Review provides the Preview mode. It connects to the selected camera and shows the live video stream without recording it to your storage device. So, if the Preview works without any problems, most likely the Recording also will succeed. But please note, that the Preview mode is not supposed to estimate the system performance (due to not reading/writing any data to storage). If the connection succeeds the Viewer Panel becomes green bordered and you should see the live video. To stop the Preview, click the same button again. If problems occur, see the Troubleshooting. 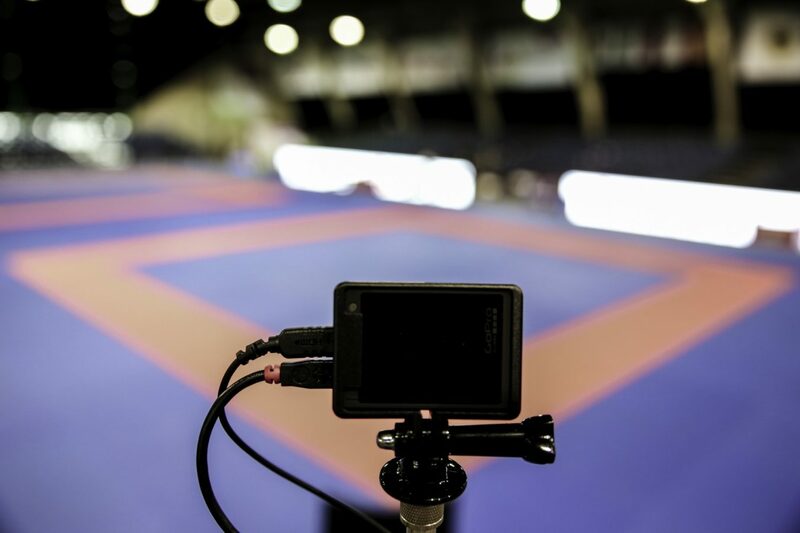 If the Preview works, SET Video Review is basically ready to start recording – providing that the Recording directory is set correctly, of course. 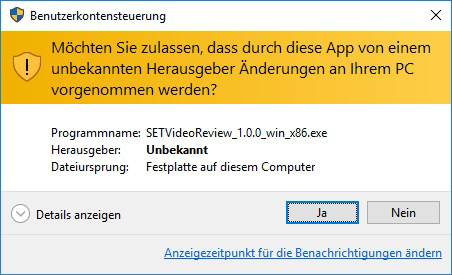 Perform the Preview step, if not already done. Click the Record Button (or SPACE key) to start recording. Click the same button again (or SPACE key) to stop recording. Attention: A high number of dropped frames per second indicate an overloaded system. See Troubleshooting. One method of operating is by using the fullscreen Viewer Window. It can be configured via the Preferences to be viewed completely borderless and/or automatically resizing the current recording to fit into the Viewer Window’s viewport. Usually (e.g. when doing (time) critical video reviews on sport events) the responsible reviewer decides upon the best view, which then is made fullscreen by double-clicking into the viewport of the chosen Viewer Panel. After a decision is made (or whatever is required), the Recording can be started directly via the SPACE key. Alternatively, the Viewer Window can be closed by doubleclicking into the viewport or pressing the ESC key – followed by clicking the Record Button to start Recording. Directly using the single Viewer Panels enables multi-angle reviews or analyzations. 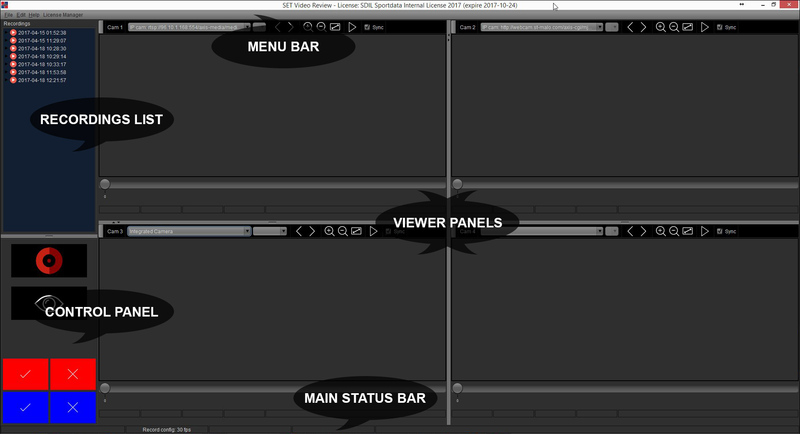 The Sync Checkbox additionally allows to synchronize the Viewer Panels. 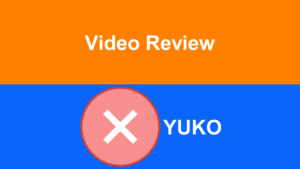 So for example altering the Review Slider position, viewing important moments frame-by-frame or starting a playback – everything (except zooming) will be applied to all synced Viewer Panels simultaneously. If specific hardware setups deliver four-in-one video material, the appropriate Preferences option “Quarter view in fullscreen mode” should be selected. With this option enabled, opening the fullscreen Viewer Window automatically zooms to the quarter where the corresponding double-click occurred. 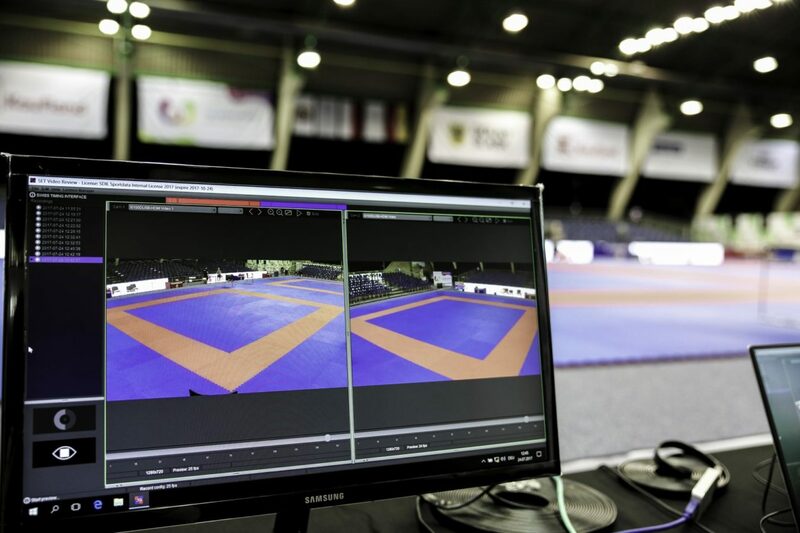 SET Video Review is fully integrated into the SET Software Framework. Thus, if you’re using it for instant replay, it is possible to directly track results via a connected SET Point Panel. The Point Panel then can use its built-in visualization to view the result on any kind and number of display units, while besides storing all the information in the central SET database automatically. Ensure correct SET Preferences and a working network connection. 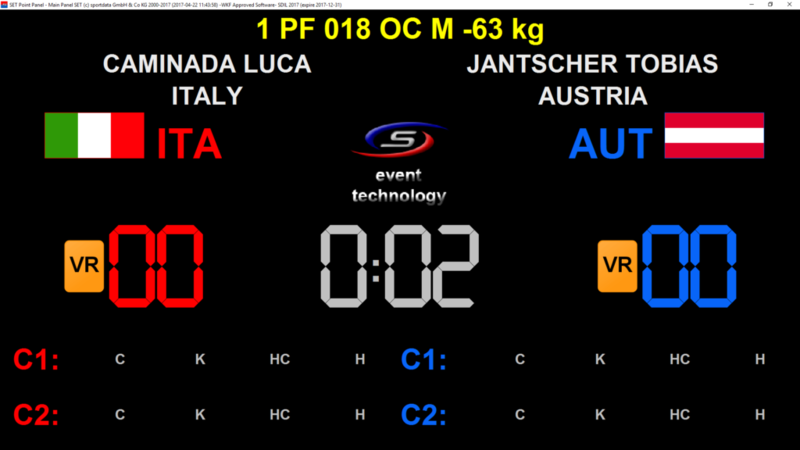 After a decision has been made, click the appropriate Result Tracker Button in the Control Panel. This section shows how the result tracking feature of SET Video Review is integrated in SET Point Panel. So, the following screenshots come from SET Point Panel – not from SET Video Review itself! 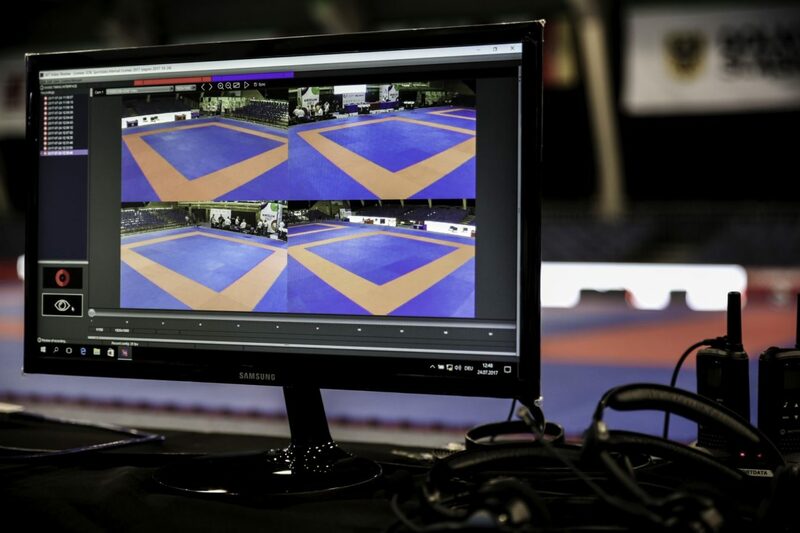 If a video review is requested, the screens show the VR View, including the kind of score requested – as well as the result (Accepted/Denied) submitted by SET Video Review. → The selected device does not support the resolution, so a different one must be chosen. Device(s) powered off → Check power status and switch off/on if necessary. Cable/Wireless connection problem → Unplug/plug cables or switch WLAN off/on if necessary. Wrong FPS configuration → Check the camera’s FPS support and change the Preferences. Device is currently used in another application (e.g. Skype) → Close all not needed applications. Capture devices sometimes send black still images when not receiving any input signal → Check the HDMI/SDI/.. cables delivering the source video signal. System performance too low → Check the System Requirements. Choose lower resolution and/or lower FPS and/or decrease number of cameras. Another task slows down your computer in the background → Close all not needed applications and watch out for CPU intensive tasks e.g. with the help of the Windows Task Manager. If tasks named ‘ffmpeg.exe’ are running while SET Video Review is NOT RECORDING and NO EXPORT was made, please 1) close SET Video Review and 2) close the ffmpeg.exe task(s). … see ‘Connection failed’ in the Preview Troubleshooting above.